Most of the times, we are not able to find drivers for some hardware components installed on our PC because we don’t have any information about them like hardware name, hardware version etc. To sort out this problem, you can use this handy application HWiNFO32. HWiNFO32 is professional hardware information and diagnostic tool supporting latest components, industry technologies and standards. 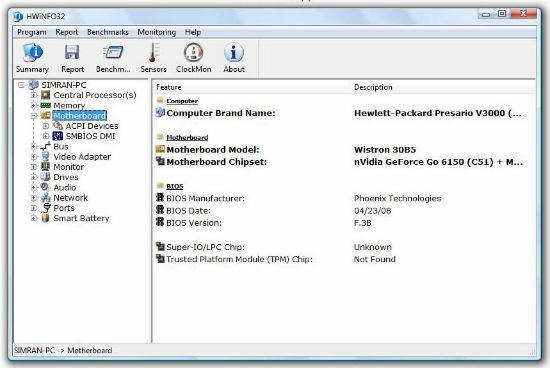 HWiNFO32 is designed to collect and present the maximum amount of information possible about computer’s hardware which makes them suitable for users searching for driver updates, computer manufacturers, system integrators and technical experts as well. Retrieved information is presented in a logical and easily understandable form and can be exported into various types of reports. It gives you comprehensive hardware information of all the hardware components installed on your PC. You can export the report in Text, XML, HTML and other formats. HWiNFO32 is completely free of cost and is available for Windows 9x/2000/XP/Server 2003/Vista/Server 2008. It supports 32-bit (IA-32), 64-bit (x64, IA-64) platforms. I’m always looking for things on topics that I don’t know about. It’s hard to find things that you don’t know about, because what do you search for? 😉 Your blog was the type of thing I love to read about on something new to me. Great post! Thanks.